Thats all. 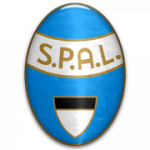 Game finished - Lazio 4, SPAL 1. 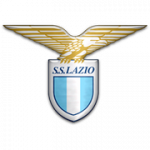 Second Half ended - Lazio 4, SPAL 1. Missed chance. Manuel Lazzari - SPAL - shot with right foot from outside the box goes high. Assist - Filippo Costa. Shot blocked. Danilo Cataldi - Lazio - shot with right foot from outside the box is blocked. Assist - Joaquín Correa. Offside - SPAL. Simone Missiroli with a pass, however Mirco Antenucci is in offside. Filippo Costa - SPAL - won a free kick in defence. Shot blocked. Patric - Lazio - shot with right foot from outside the box is blocked. Assist - Danilo Cataldi. Corner - Lazio. Conceded by Felipe. Substitution - SPAL. Lorenzo Dickmann for Everton Luiz - injury. New attacking attempt. Marco Parolo - Lazio - shot with right foot from a diffucult position on the right is saved in the right corner. Assist - Valon Berisha. Missed chance. Joaquín Correa - Lazio - shot with right foot from outside the box missed. Assist - Valon Berisha. New attacking attempt. Ciro Immobile - Lazio - shot with right foot from the right side of the box is saved by goalkeeper in the centre of the goal. Assist - Joaquín Correa. Shot blocked. Manuel Lazzari - SPAL - shot with right foot from outside the box is blocked. Corner - SPAL. Conceded by Danilo Cataldi. Ciro Immobile - Lazio - hits the left post with a shot with the head from the centre of the box. Assist - Danilo Cataldi with a cross . Thiago Cionek - SPAL - receive yellow card for a foul. Ciro Immobile - Lazio - won a free kick on the left wing. Missed chance. Mirco Antenucci - SPAL - shot with the head from the centre of the box missed to the left. Assist - Mirko Valdifiori. Substitution - Lazio. Valon Berisha for Sergej Milinkovic-Savic. New attacking attempt. Sergej Milinkovic-Savic - Lazio - shot with right foot from the right side of the box is saved by goalkeeper in the centre of the goal. Assist - Joaquín Correa. New attacking attempt. Joaquín Correa - Lazio - shot with left foot from the centre of the box is saved by goalkeeper in the centre of the goal. Assist - Sergej Milinkovic-Savic. Goal! Lazio 4, SPAL 1. Marco Parolo - Lazio - shot with right foot from outside the box to the left corner. Substitution - SPAL. Alberto Paloschi for Andrea Petagna. Felipe - SPAL - receive yellow card for a foul. Joaquín Correa - Lazio - won a free kick in attack. Substitution - Lazio. Jordan Lukaku for Senad Lulic. Missed chance. Joaquín Correa - Lazio - shot with right foot from outside the box goes high. Assist - Wallace. Substitution - Lazio. Joaquín Correa for Felipe Caicedo. Goal! Lazio 3, SPAL 1. Danilo Cataldi - Lazio - shot with right foot from outside the box to the top left corner. Shot blocked. Sergej Milinkovic-Savic - Lazio - shot with right foot from outside the box is blocked. Everton Luiz - SPAL - receive yellow card for a foul. Francesco Acerbi - Lazio - won a free kick in attack. Everton Luiz - SPAL - won a free kick in attack. Offside - Lazio. Stefan Radu with a pass, however Marco Parolo is in offside. Corner - Lazio. Conceded by Francesco Vicari. Patric - Lazio - won a free kick in defence. Substitution - SPAL. Thiago Cionek for Kevin Bonifazi. Second Half starts Lazio 2, SPAL 1. First Half ended - Lazio 2, SPAL 1. Mirko Valdifiori - SPAL - won a free kick in defence. New attacking attempt. Marco Parolo - Lazio - shot with right foot from the right side of the box is saved in the right corner. Assist - Stefan Radu. Simone Missiroli - SPAL - won a free kick in attack. Missed chance. Felipe Caicedo - Lazio - shot with left foot from outside the box is close, but missed to the left. Assist - Patric. Felipe - SPAL - won a free kick in defence. Shot blocked. Mirko Valdifiori - SPAL - shot with right foot from outside the box is blocked. Shot blocked. Andrea Petagna - SPAL - shot with the head from few metres is blocked. Assist - Mirko Valdifiori with a cross. Corner - SPAL. Conceded by Wallace. Goal! Lazio 2, SPAL 1. Ciro Immobile - Lazio - shot with right foot from outside the box to the left corner. Assist - Felipe Caicedo. Missed chance. Sergej Milinkovic-Savic - Lazio - shot with right foot from few metres is very close to the goal. Assist - Danilo Cataldi with a cross after corner. 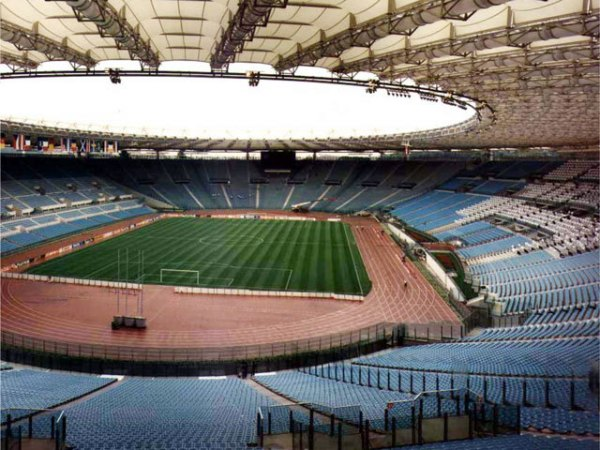 Corner - Lazio. Conceded by Filippo Costa. New attacking attempt. Ciro Immobile - Lazio - shot with left foot from the left side of the box is saved by goalkeeper in the centre of the goal. Assist - Felipe Caicedo. Goal! Lazio 1, SPAL 1. Mirco Antenucci - SPAL - shot with right foot from few metres to the centre of the goal. Assist - Manuel Lazzari. Simone Missiroli - SPAL - won a free kick in defence. Goal! Lazio 1, SPAL 0. Ciro Immobile - Lazio - shot with right foot from the centre of the box to the right corner. Assist - Danilo Cataldi with a cross after corner. Missed chance. Mirco Antenucci - SPAL - shot with right foot from outside the box missed to the left. Corner - SPAL. Conceded by Thomas Strakosha. New attacking attempt. Mirco Antenucci - SPAL - shot with right foot from the left side of the box is saved in the top right corner. Shot blocked. Filippo Costa - SPAL - shot with left foot from outside the box is blocked. Francesco Acerbi - Lazio - receive yellow card for a foul. Mirco Antenucci - SPAL - won a free kick in attack. Missed chance. Patric - Lazio - shot with right foot from the centre of the box goes high. Assist - Stefan Radu with a cross. Senad Lulic - Lazio - won a free kick on the left wing. Corner - SPAL. Conceded by Patric. Delay in match Everton Luiz - SPAL - - injury. Ciro Immobile - Lazio - won a free kick in defence. Missed chance. Felipe Caicedo - Lazio - shot with left foot from the centre of the box is close, but missed. Missed chance. Danilo Cataldi - Lazio - shot with right foot from outside the box is high and wide to the right. Shot blocked. Sergej Milinkovic-Savic - Lazio - shot with right foot from the left side of the box is blocked. Assist - Ciro Immobile. Sergej Milinkovic-Savic - Lazio - won a free kick in defence.